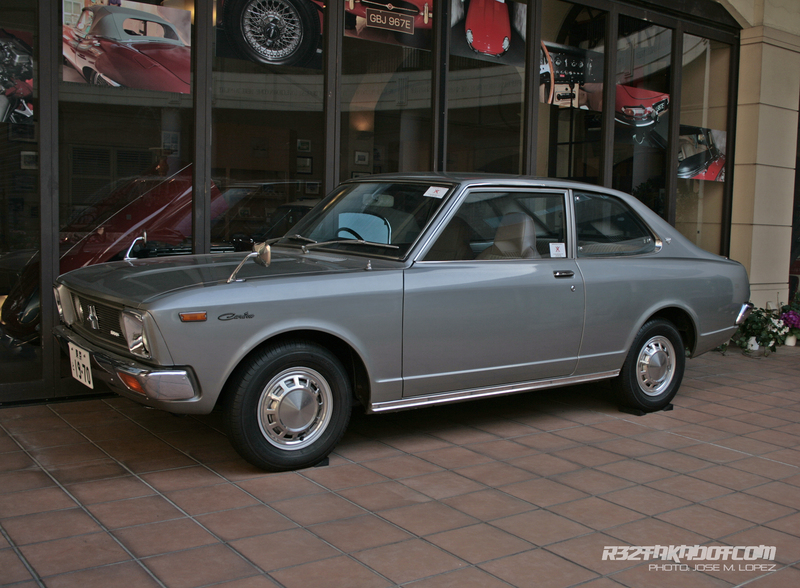 Is probably truth that in the early ’70s maybe Datsun/Nissan was probably the most successful car manufacturer talking in development and real performance cars. 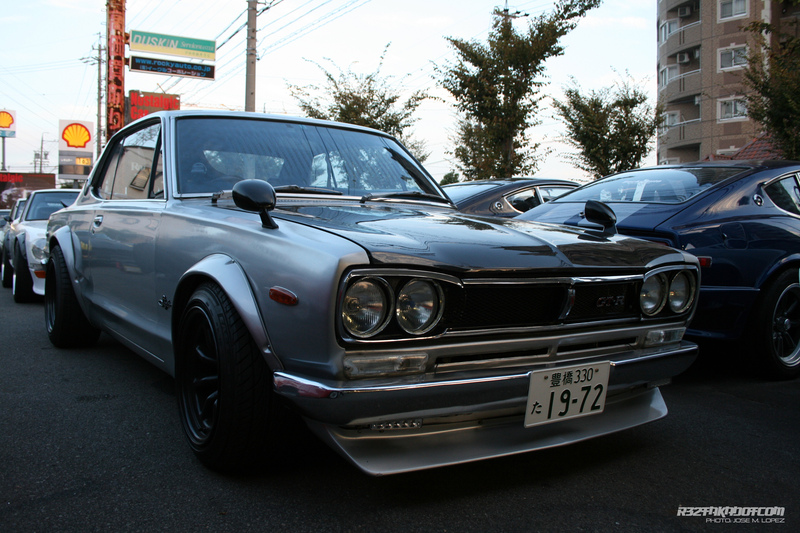 Specially thanks to the well known Skyline GTR. 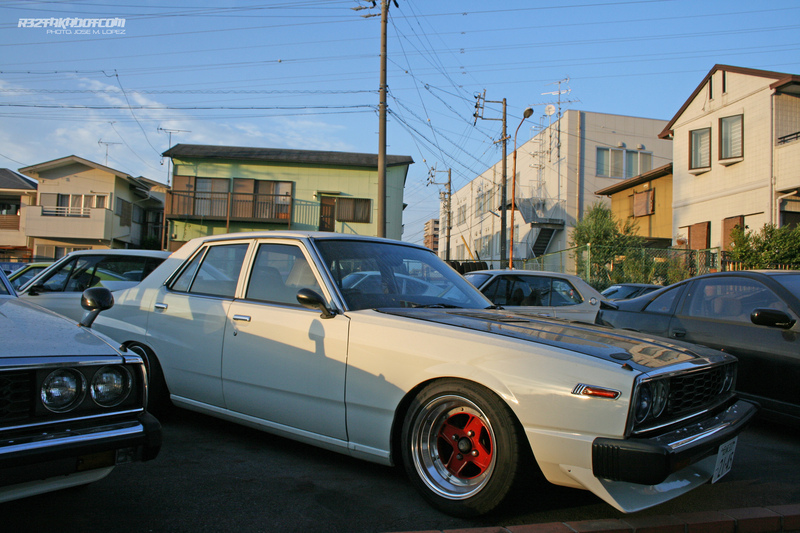 From Hakosuka to Kenmeri. 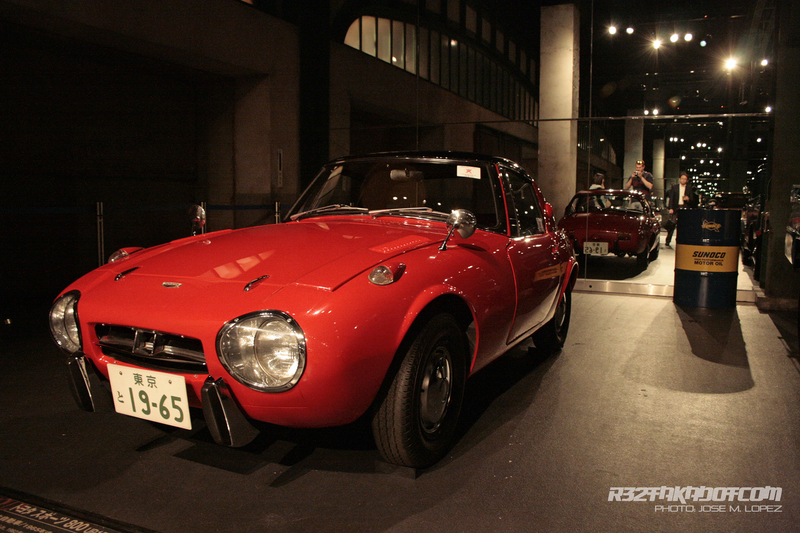 But under that high spec coupes, and also not forgetting the hyper performance car produced by Mazda with the Cosmo 110S as maximum expression of design and performance from Mazda and Toyota with the 2000, apart of those high spec coupes, the people of the seventies were already demanding less powerful and probably, as main problem, less expensive coupe cars. 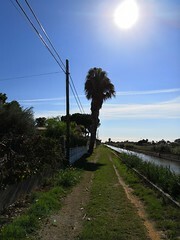 The boom for the joy of car in the country was about to start in the follow years. 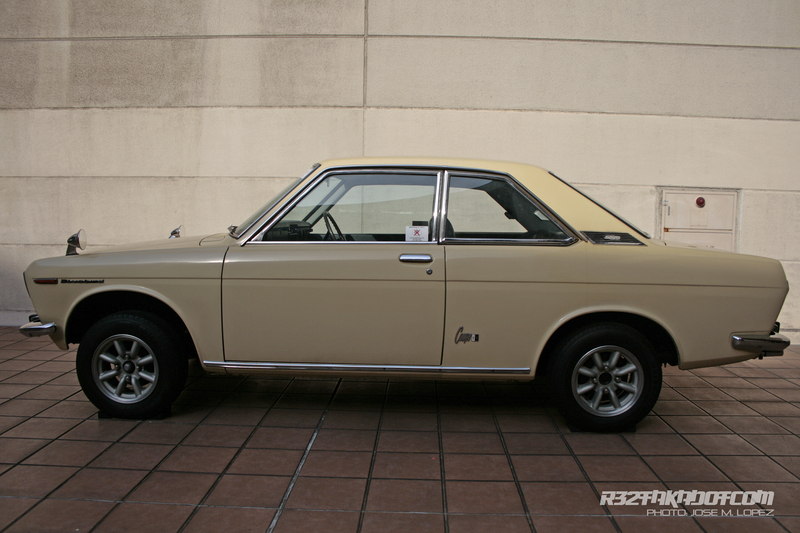 The way that Toyota and Datsun/Nissan used to save cost was very easy and clever. 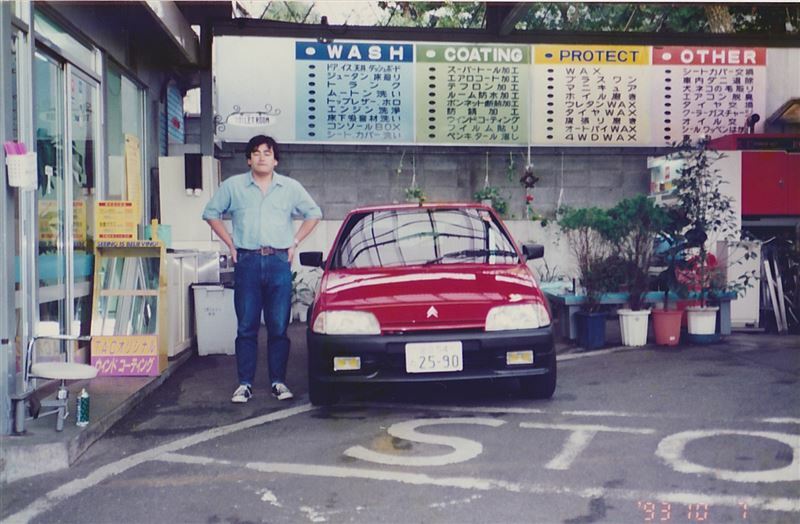 By producing sedan, coupe and wagon version the development of a car become cheaper effective and more affordable for the buyer of that time. 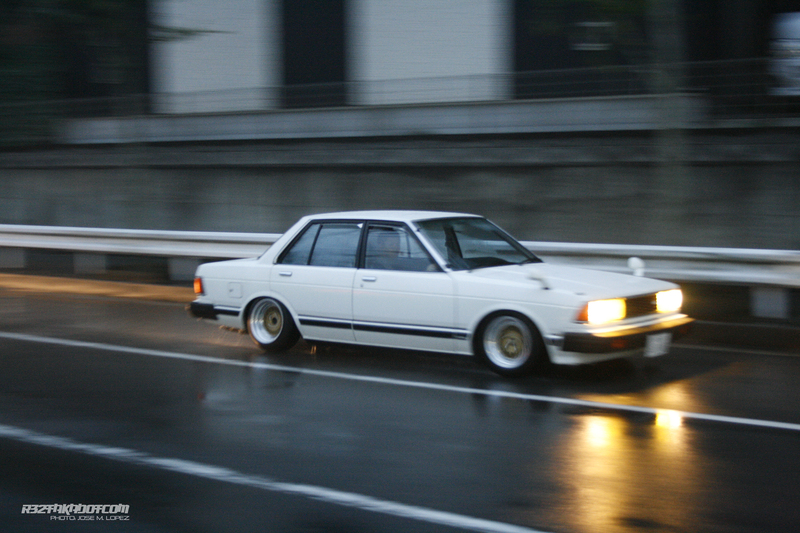 Is very obvious that the Toyota Carina coupe is not as popular as the Bluebird. 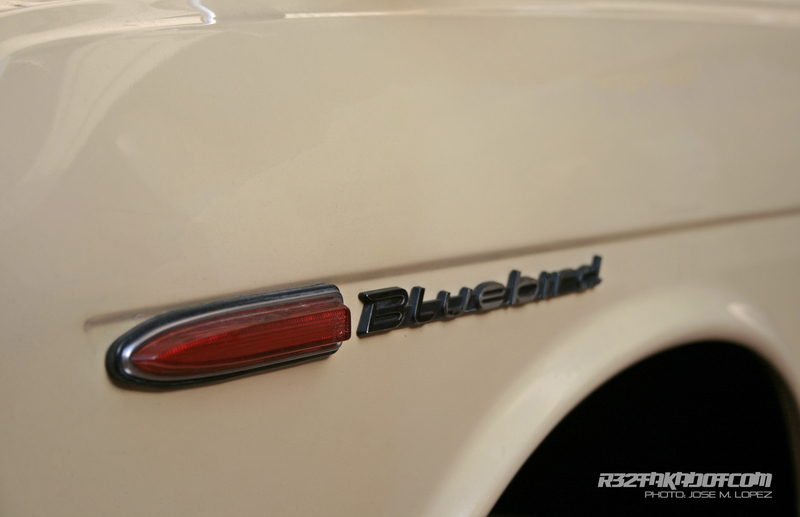 Not now and not even at the time the were for sale, maybe also the design of the Bluebird was more sporty and beautiful but that also from everyone’s point of view. 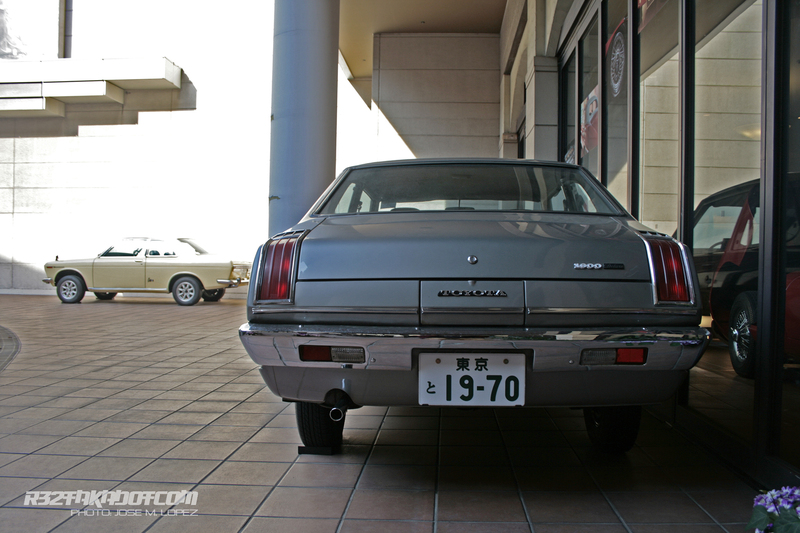 But the followed evolutions of Toyota Carina were and are quite popular between the Kyusha fans and car builders. 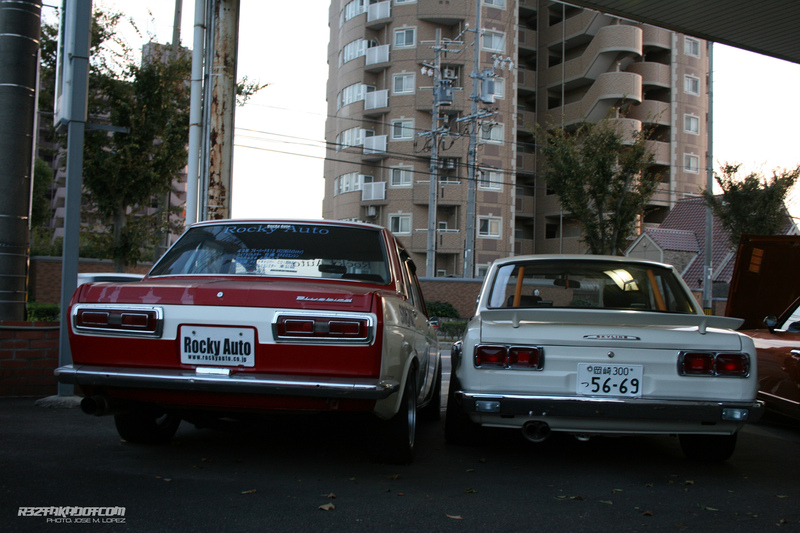 Specially the versions A40 and A50. 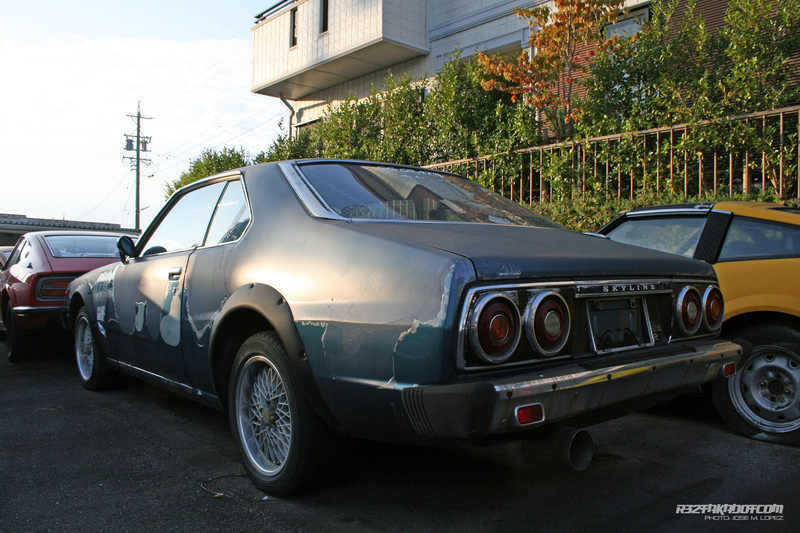 What happened was that Datsun put so bigger effort into getting the Bluebird much popular, the Bluebird’s were racing in Japan and also in America (were the Bluebird was sold under the badge 510), taking victories and making sportier version of the common Bluebird. 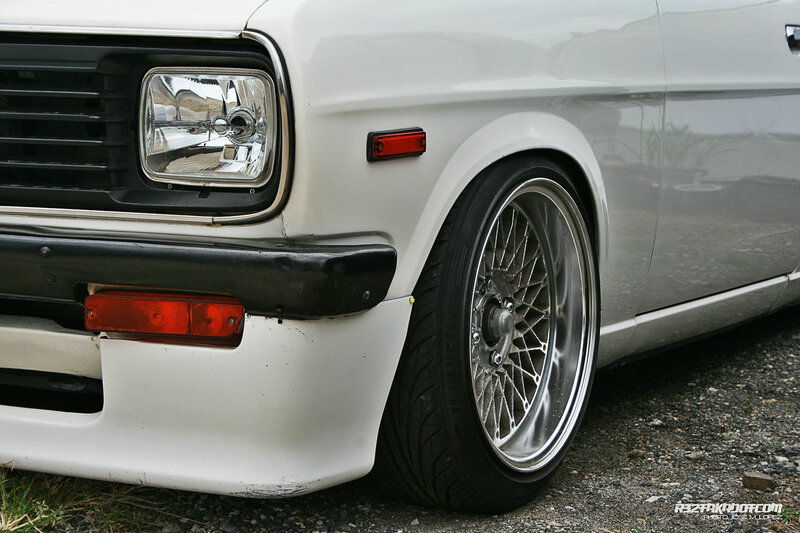 Today the 510 is such a good looking car and swapping an SR20DET you know is a very good way to power this small coupe created more than 40 years ago. 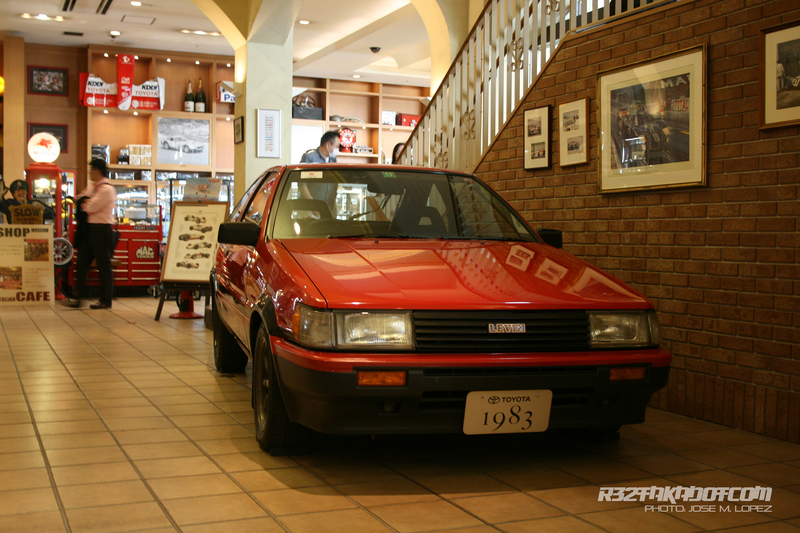 Visiting the Toyota Historical Garage. Tokyo. 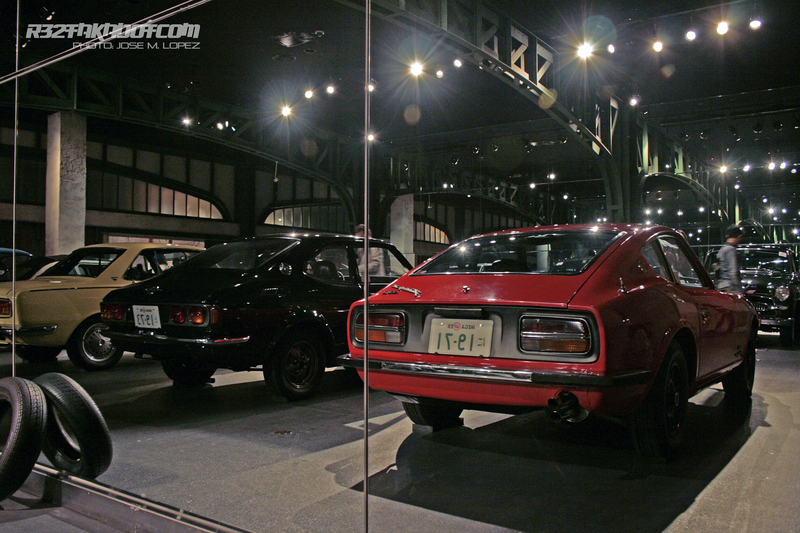 If you ever visit Tokyo there is place that you have to hit, the Toyota Historical Garage. Is very easy to reach, just take a train to the island of Odaiba and stop in the station with the same name. 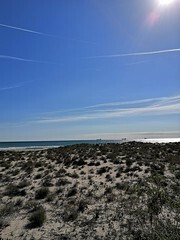 The are so many other things to do in the island, mainly all them related with having fun and enjoy with your family in case you have kids. 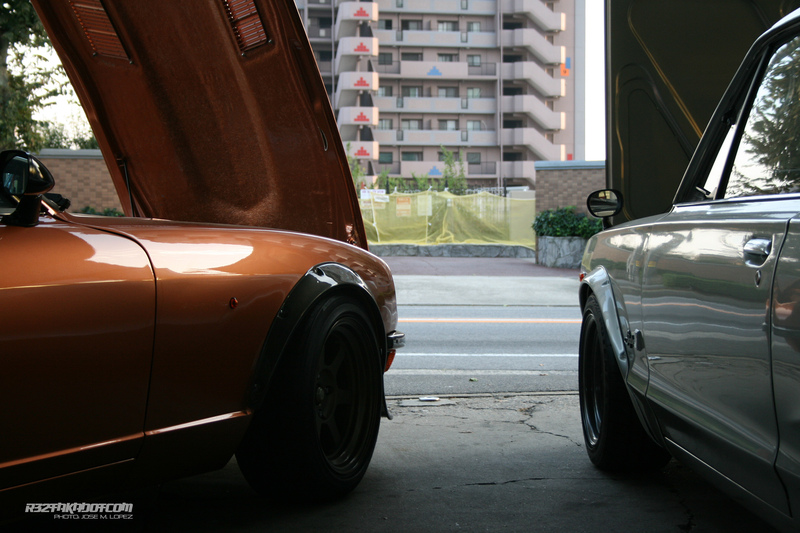 But today were are here for cars. 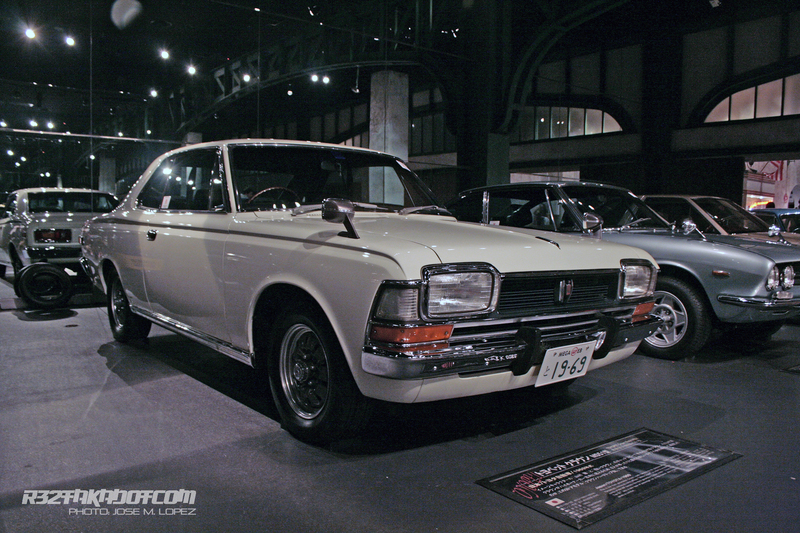 The museum is located inside the Shopping Mall in front of Toyota MegaWeb. That Shopping Mall has its singularity as you can walk your pet inside, the do shopping with your pet. But being back to the museum I have to say that is free admission and you are free to take photos if you want to re-visit every time you want when you go back to home. 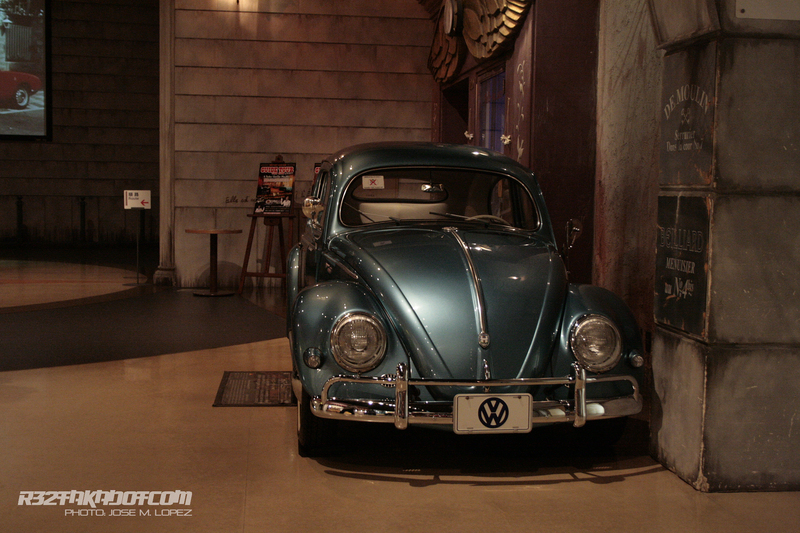 There are three sections, one for shopping, one for scale model exhibition, and the car exhibition. 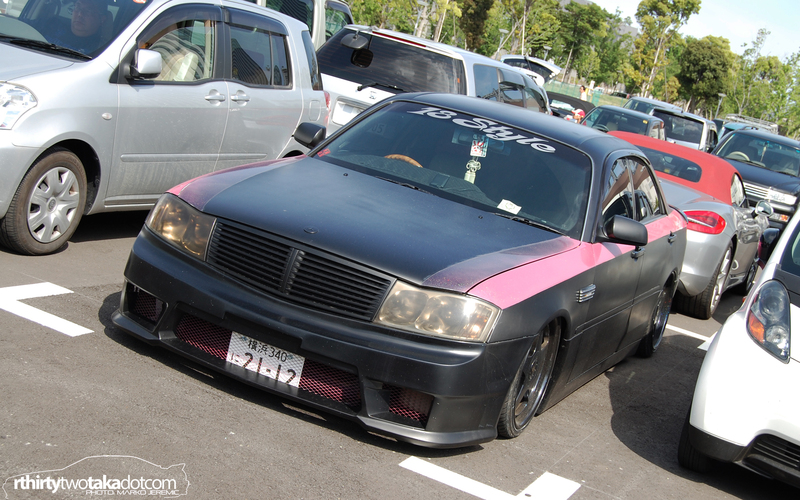 We will see today the car exhibition. 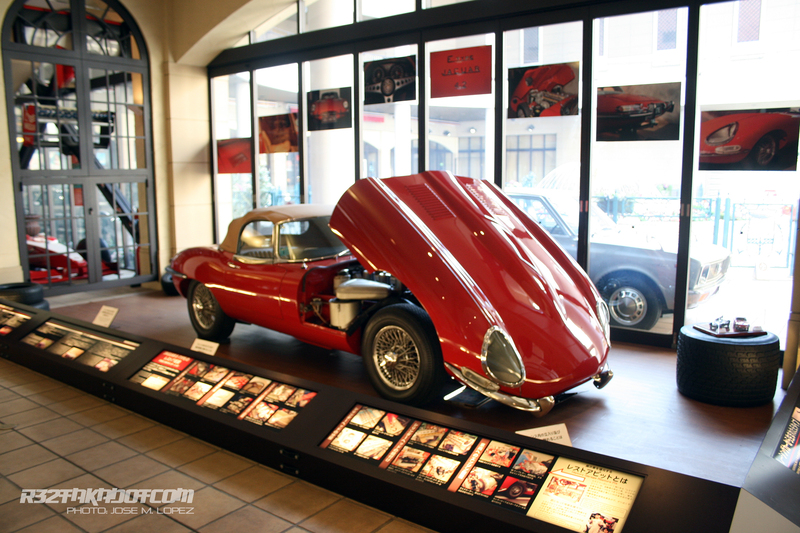 The first car you spot is that red Jaguar E-Type, fully restored, clean and with the bonnet open to appreciate it well. 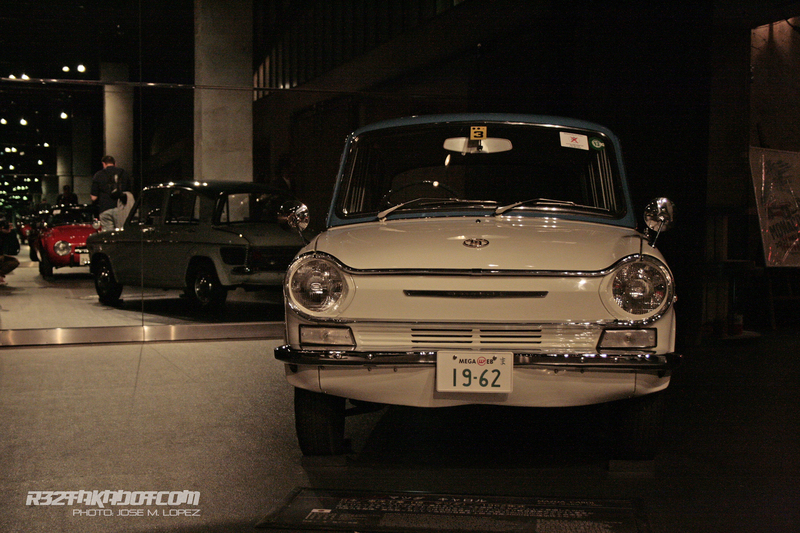 It is a museum is owned by Toyota and has its name on it, but is more like a kind of car history review. 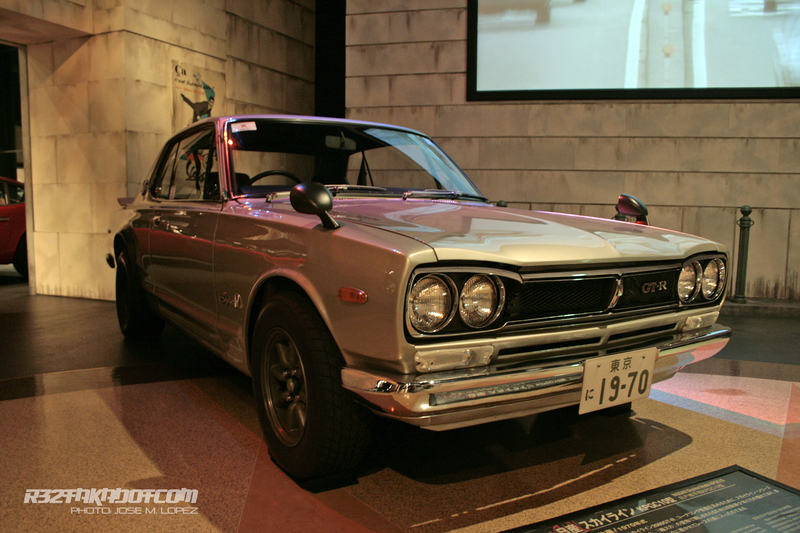 With one of the most iconic cars of always. 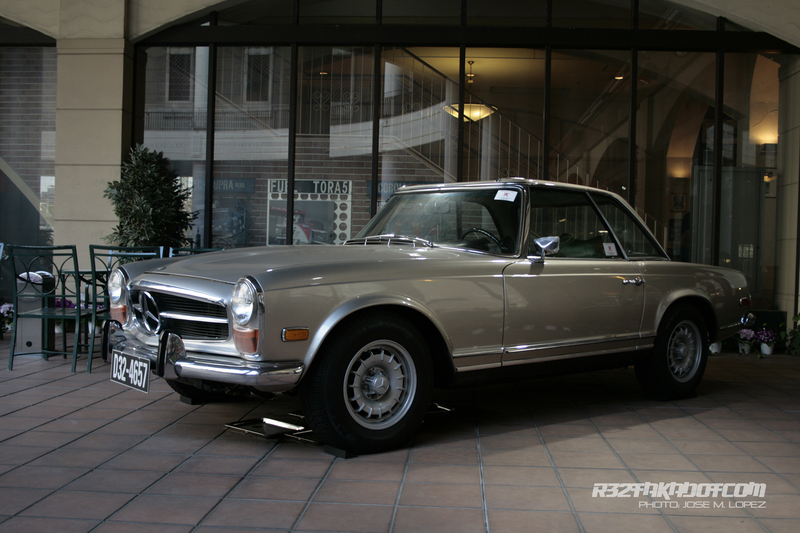 This Levin is the second car you spot when entering the Museum, also fully restored and so immaculate. 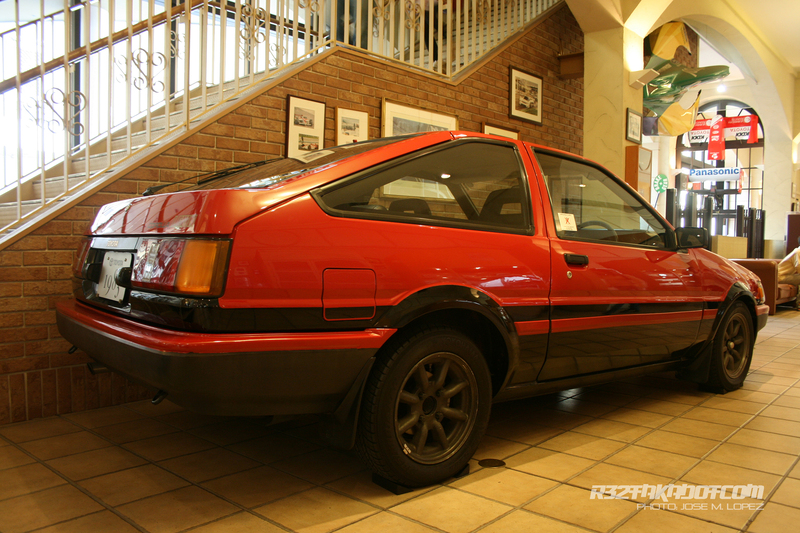 It had about 144.000 km on the clock. 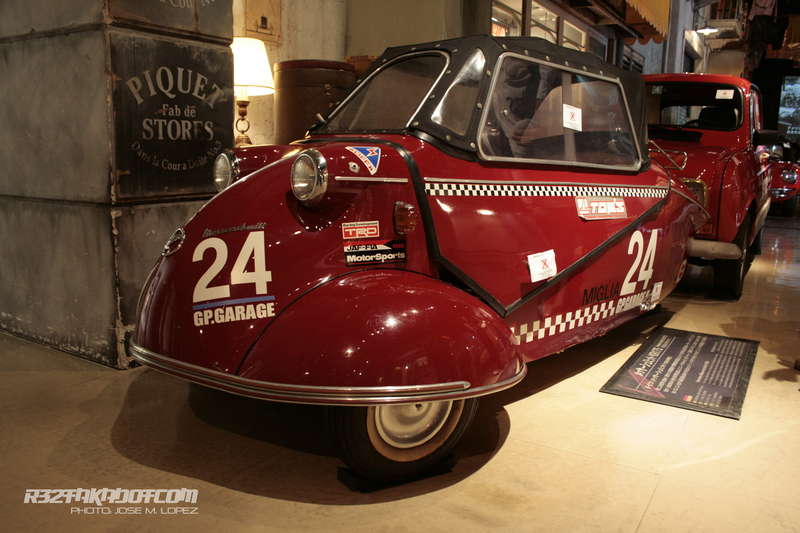 Some euro rarities are also in the exhibition, from the Renault 4 you see behind this super rare MESSERSCHMITT KR that raced the Mille Miglia back in the time. 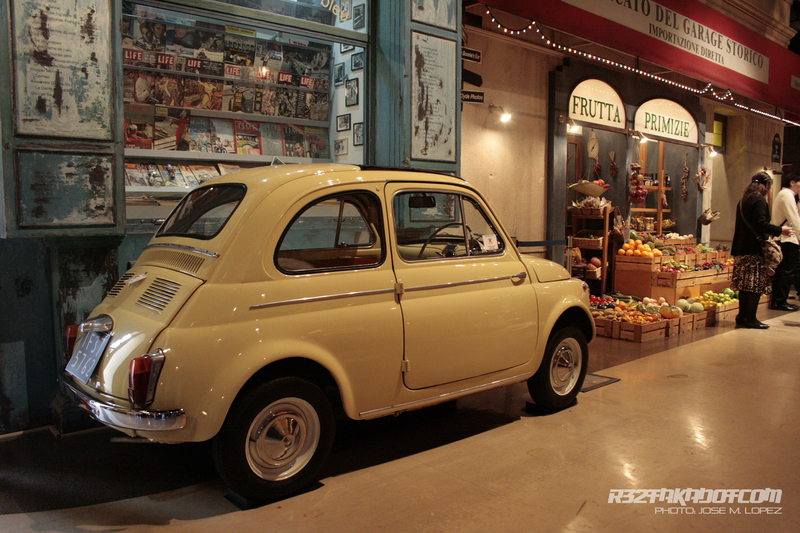 Europe styled scenario for the Fiat 500, probably one of the most popular cars in south Europe in all the times. 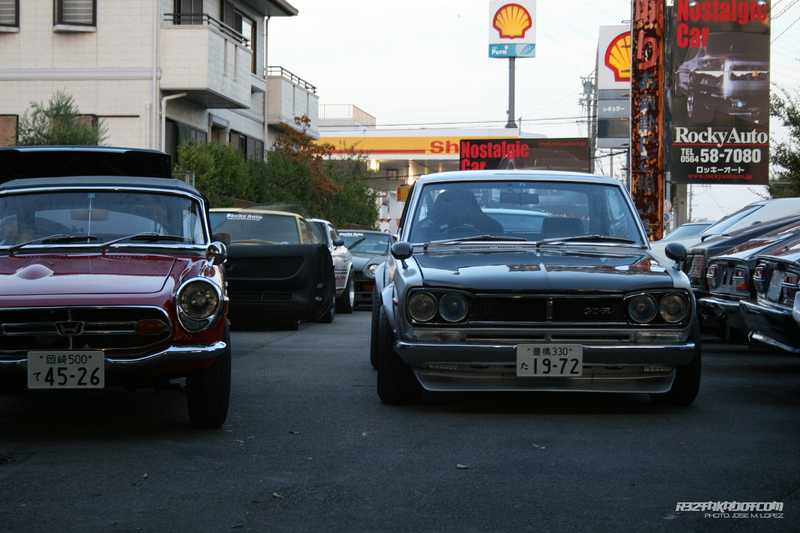 The japanese cars are placed apart, all them together, which creates a superb atmosphere, around you there are the most iconic japanese sport cars ever. 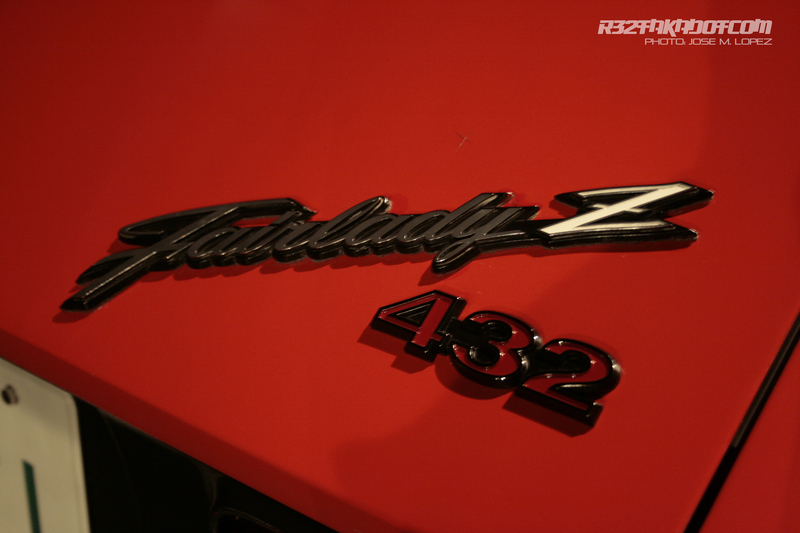 This is a real Z432, this car was restored by the museum during the last spring. The workshop is inside the museum and your are able to see the technicians working in real time as you will see in some other photo. 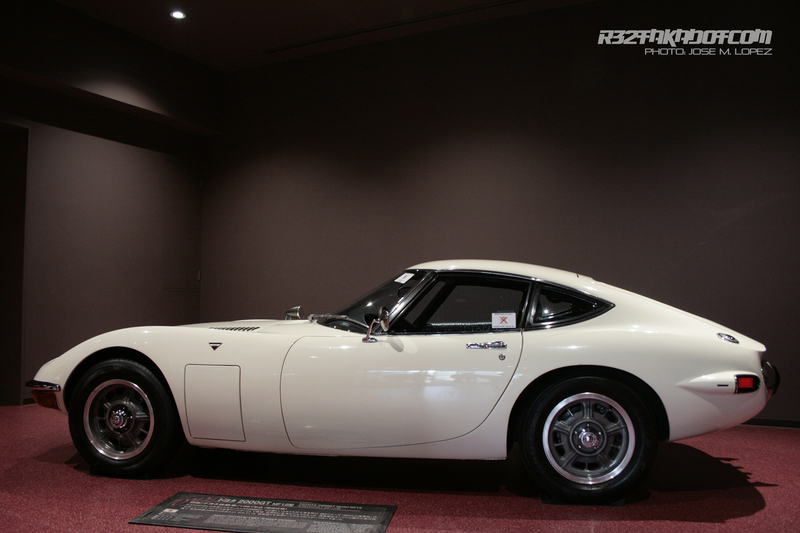 The Toyota 800, the car who has the honor to be the first sports car produced by Toyota. 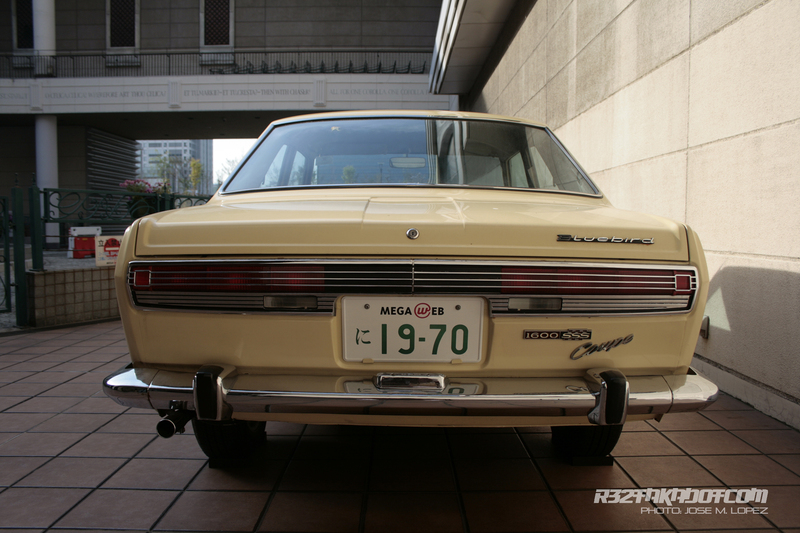 Another car very rare to spot in the street or even in the classic meeting is the Mazda Carol, with a very uncommon desing specially in the rear, this car makes you realize how family cars having changing over the years. 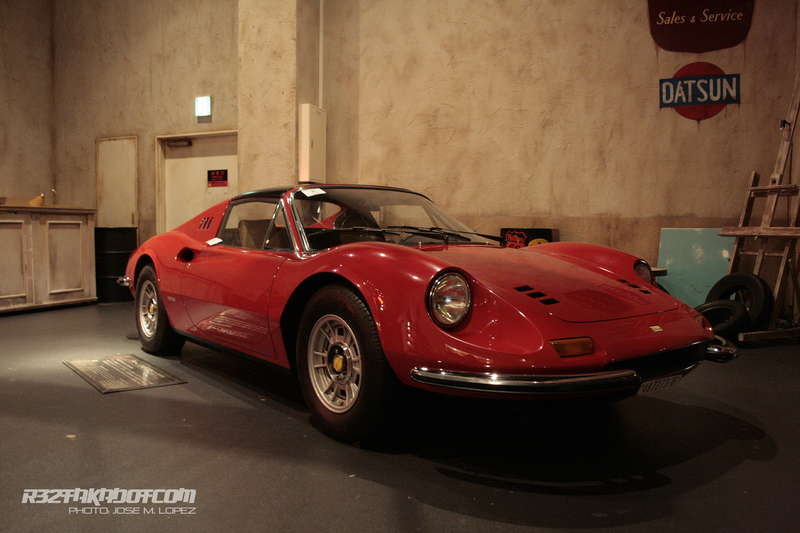 One exotic, the Ferrari Dino. Today one of the most expensive Ferrari ever. 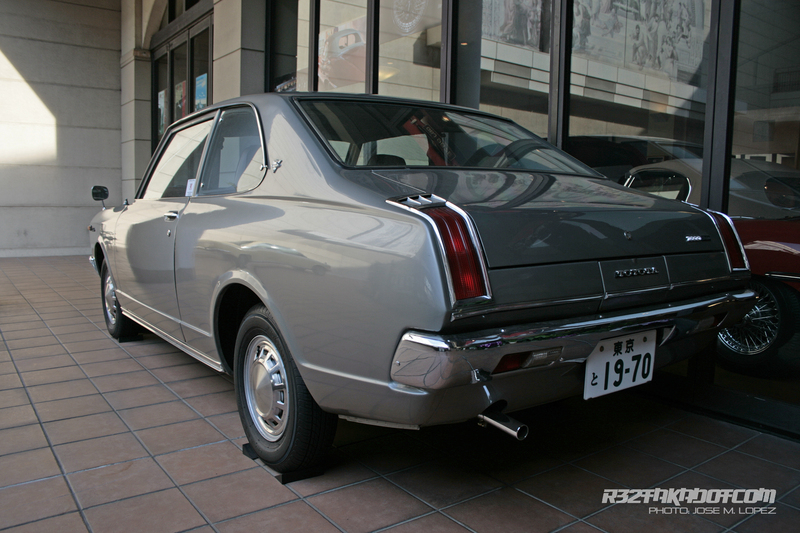 Toyota created the Toyota 2000 after being successful with the development of the S800, the Toyota 2000 was probably one of the most clean and best designed Toyota’s until today. 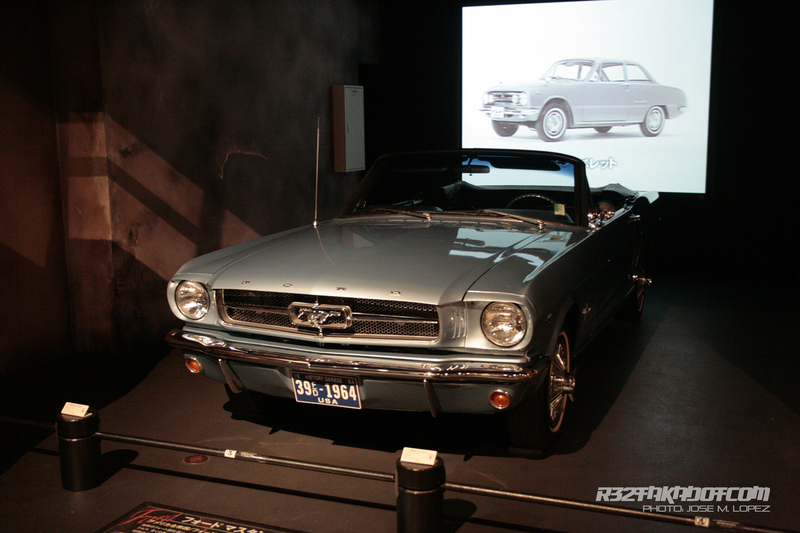 There were also a bit of American history in the museum, the good looking Mustang never gets old. 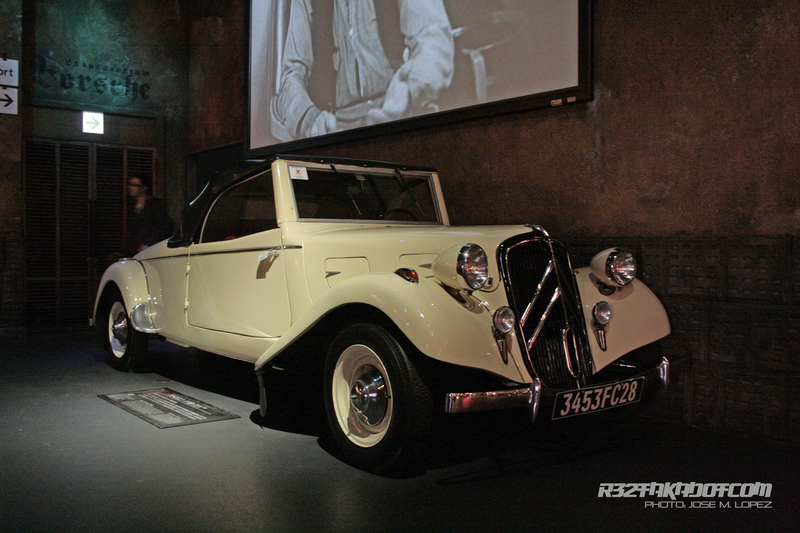 Yes, there was a time when Citroën created great, powerful and luxury cars. 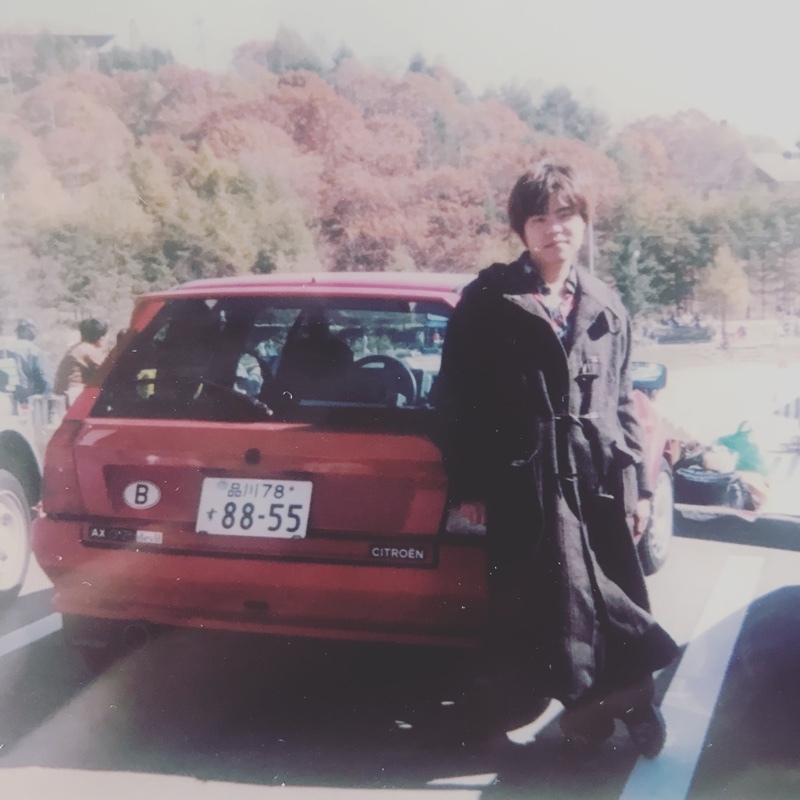 Yes, it was long time ago. 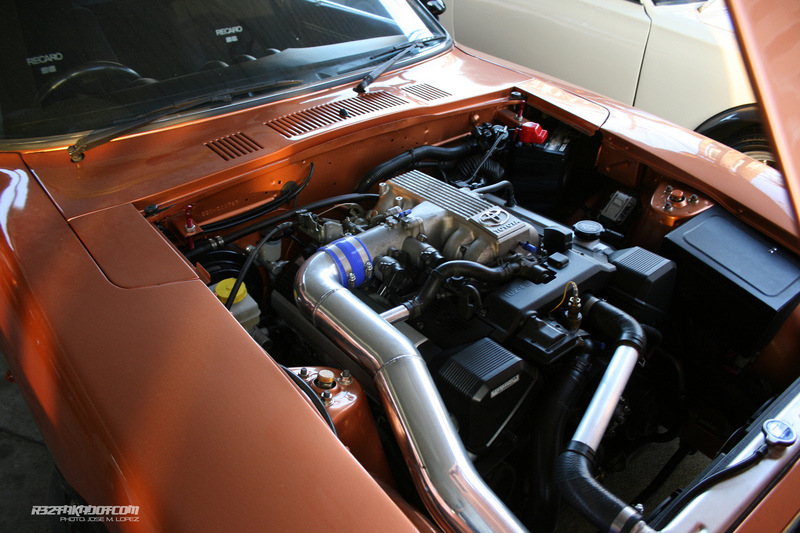 This is a 3SGTE engine developed by TRD. 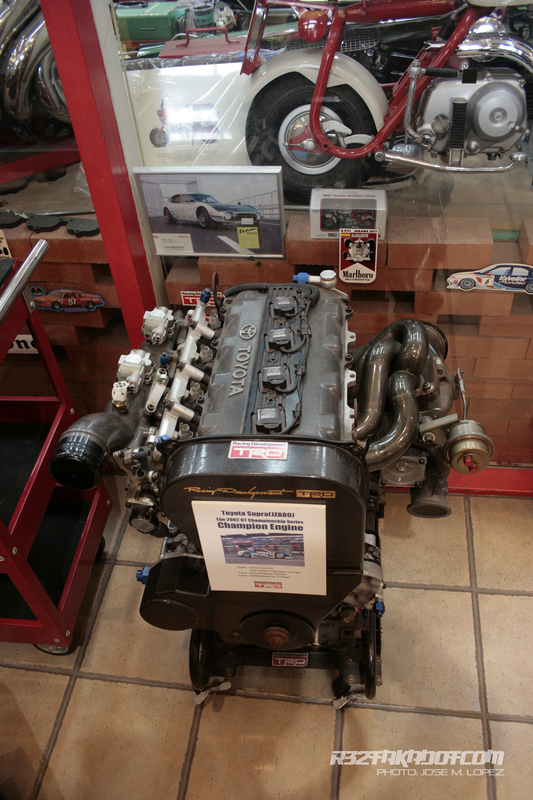 Toyota raced that engine on the JGTC Toyota Supra. 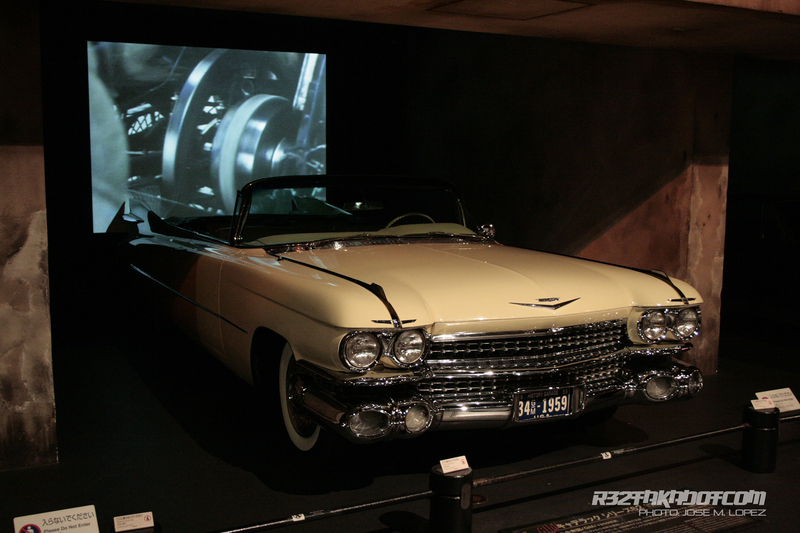 This was a winning engine. 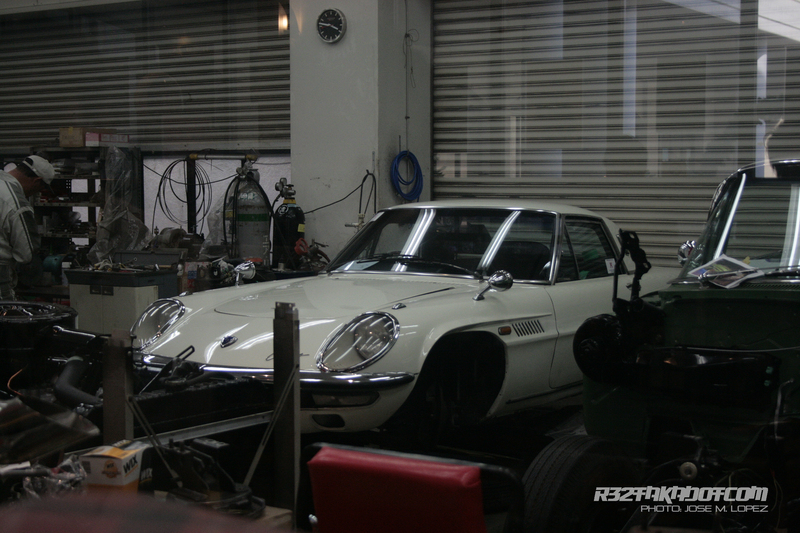 On the workshop inside the museum a Cosmo is being restored and almost ready to be in the exhibition. Soon we will be able to appreciated in a closer look. 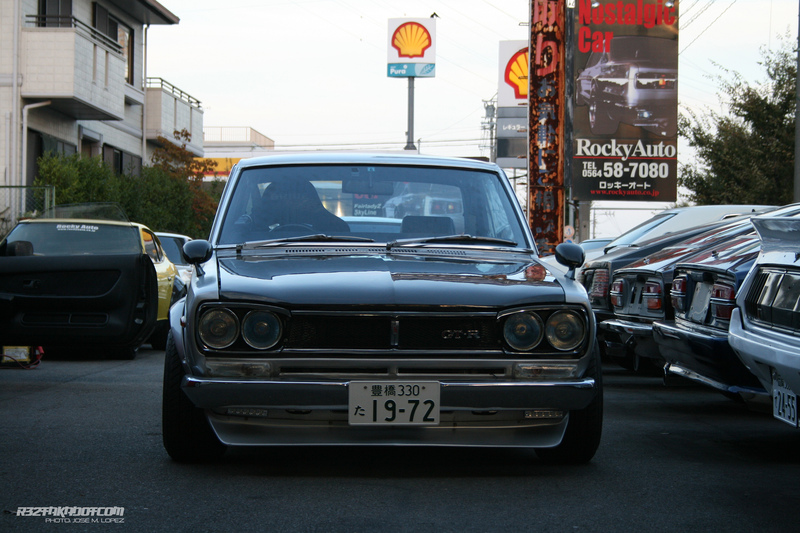 Welcome back to part two of the visit to the Nissan paradise. 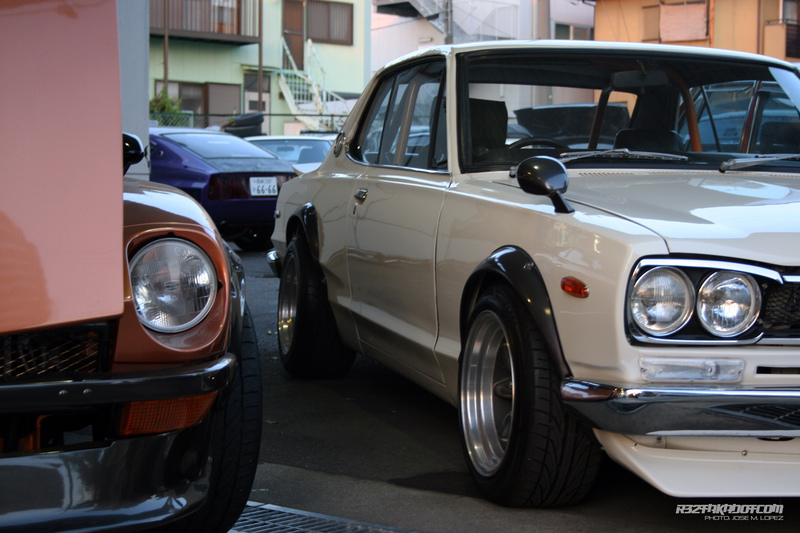 Classic Nissan paradise. I did the first post just and introduction of some cars that still need some work. 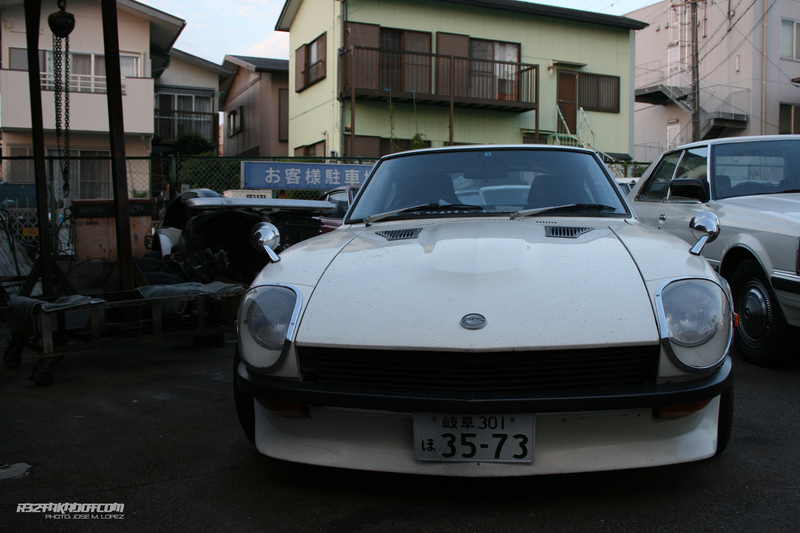 Specially Z31 an other Z.
I am a little special. 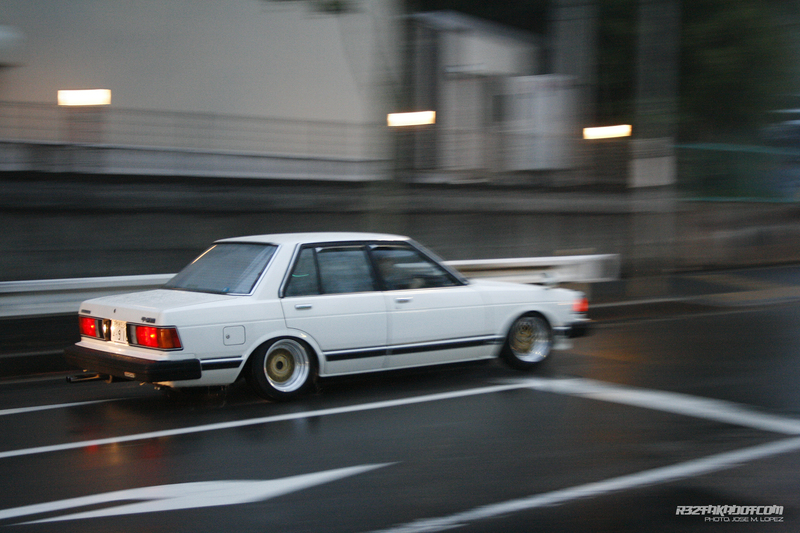 Probably that C210 was my favorite car over that place. 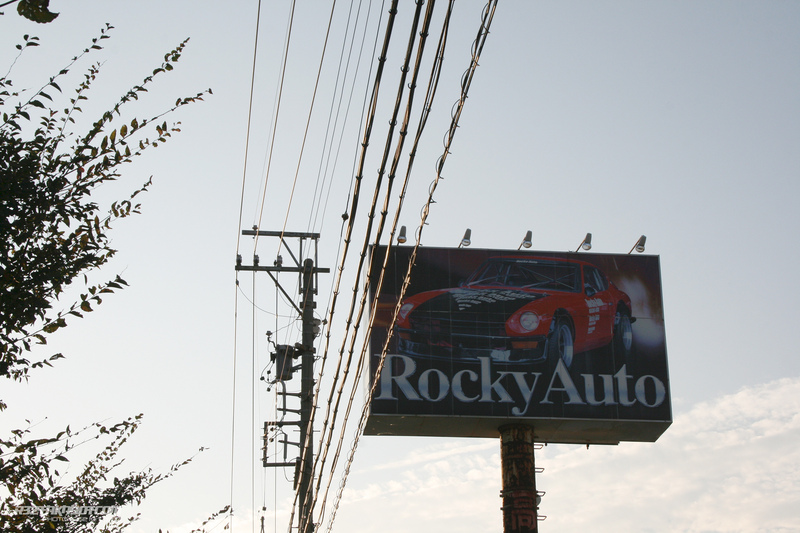 When something is not very popular, it starts to call my attention, but to being honest those cars here are very expensive. 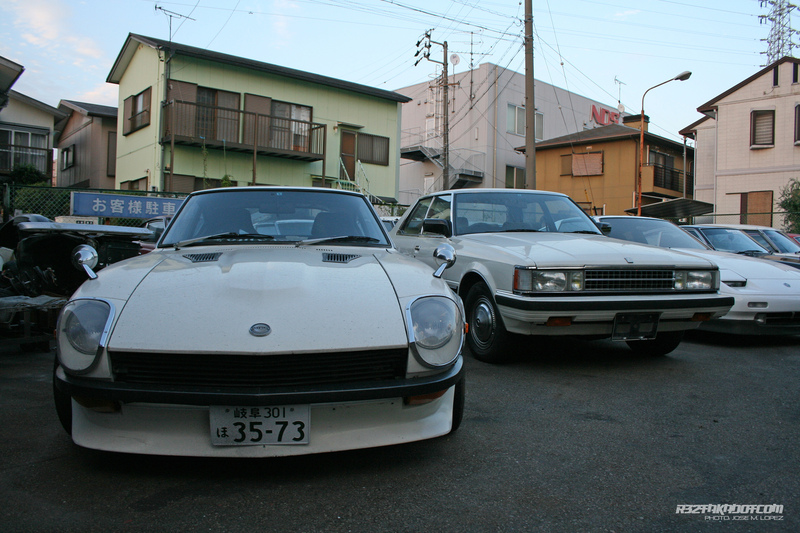 In fact every classic car here is tagged in a lot of Yen. 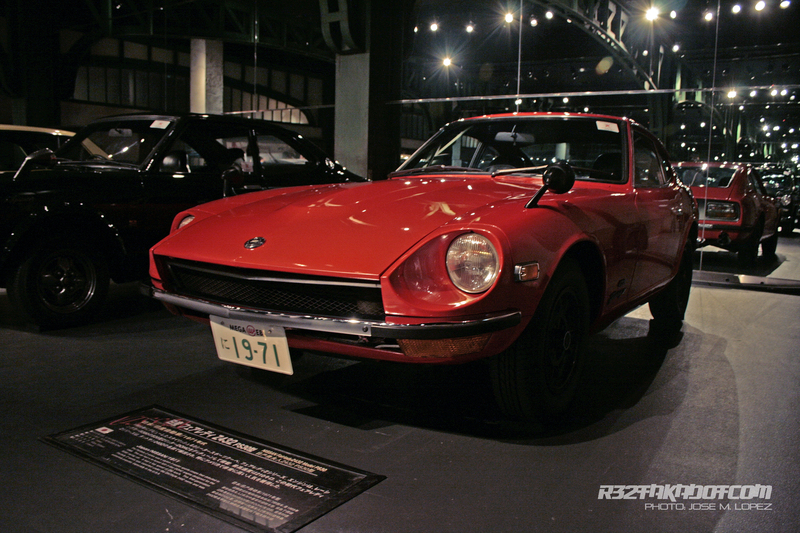 Toyota V8 powered 240Z. 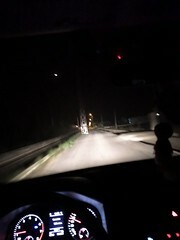 Amazing sound that car. 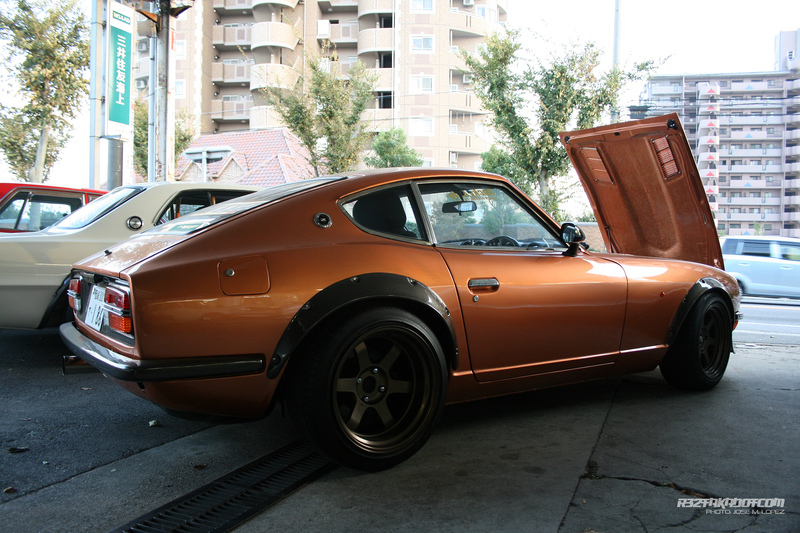 N/A V8 is beautiful swap for the Fairlady’s. 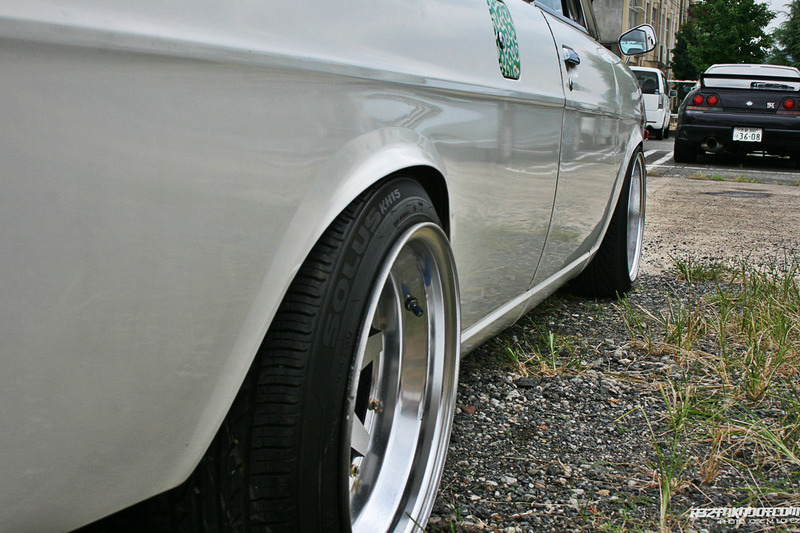 Totally restored. 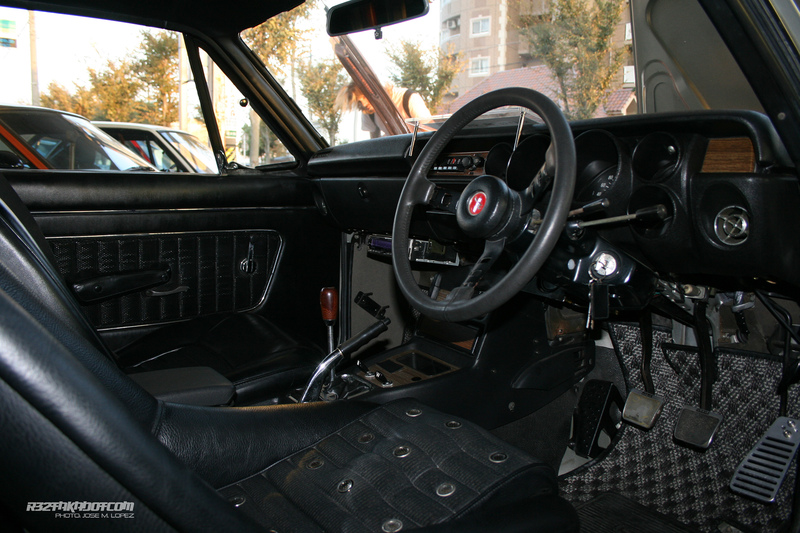 First time I sat in a Hakosuka, great experience to check the gearbox. 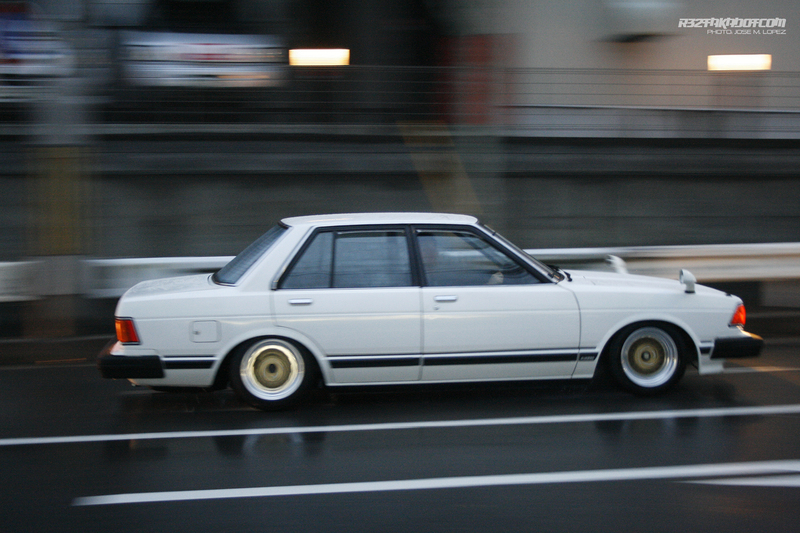 So sport for such an old car. 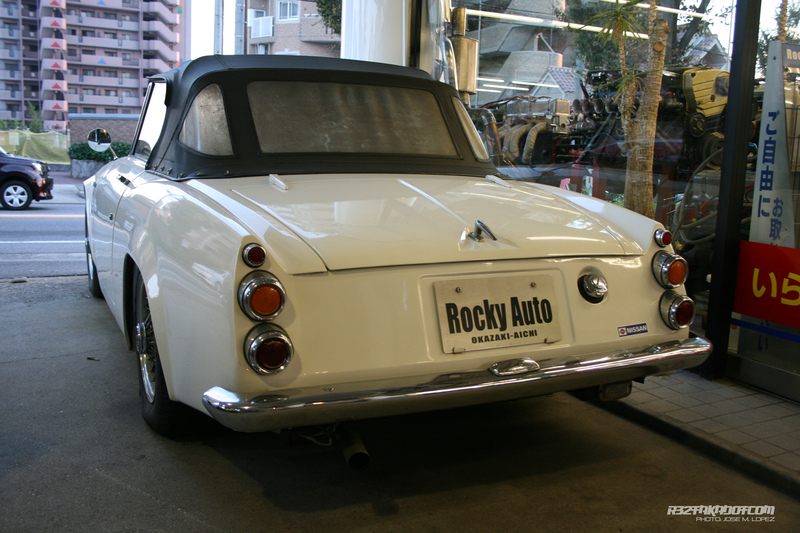 Here there is a Honda S800, almost the only exception. 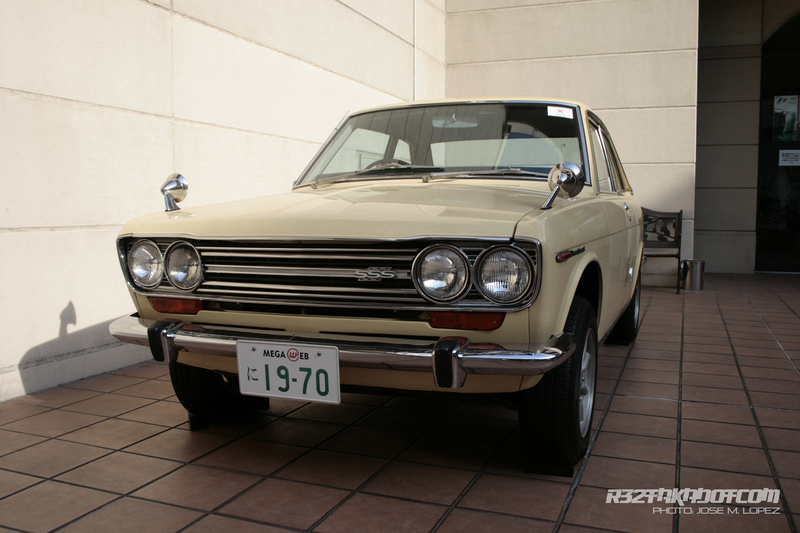 There was also a modified Corona in the garage. 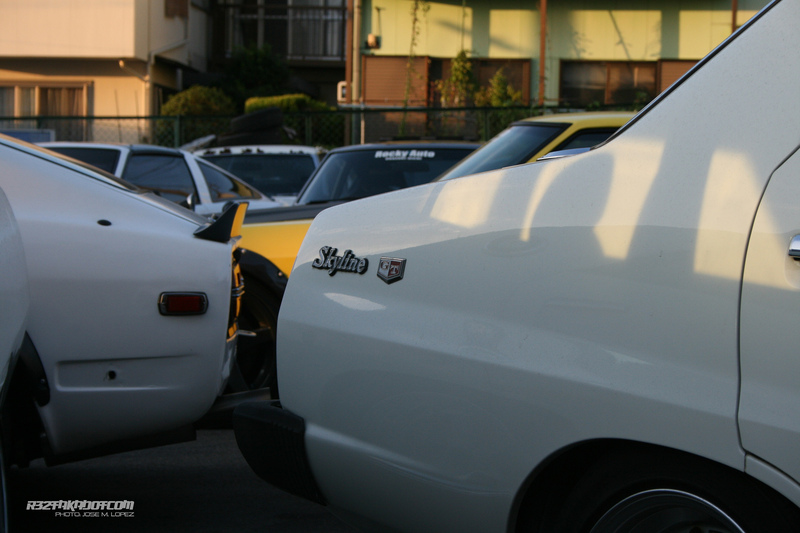 There were many many Hakosukas, I have never seen so many Classic Nissan together. 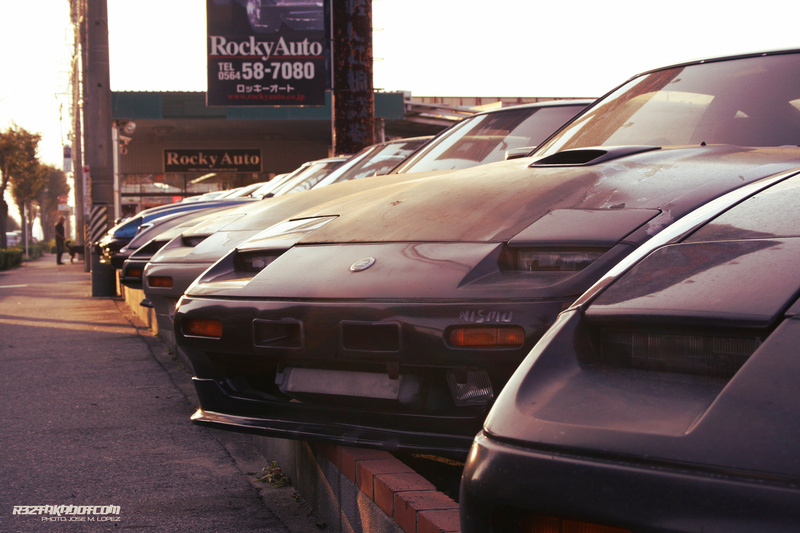 I think because Rocky Auto has all them. 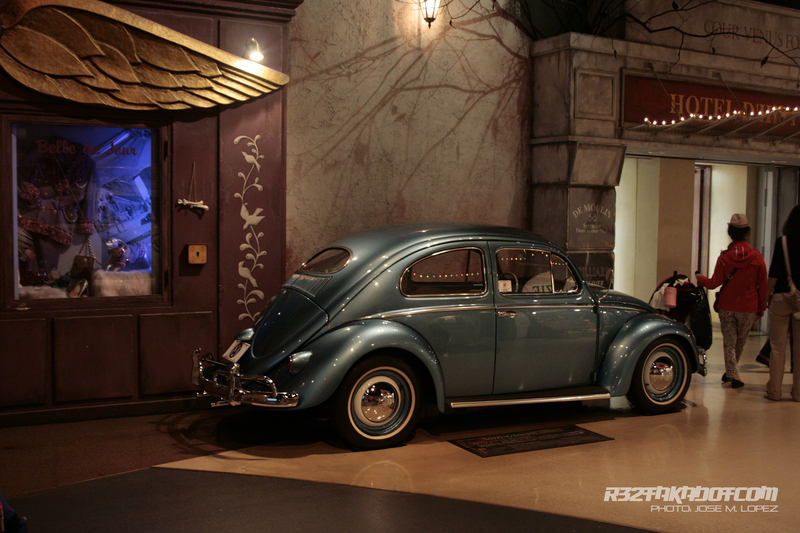 The last Bluebird. 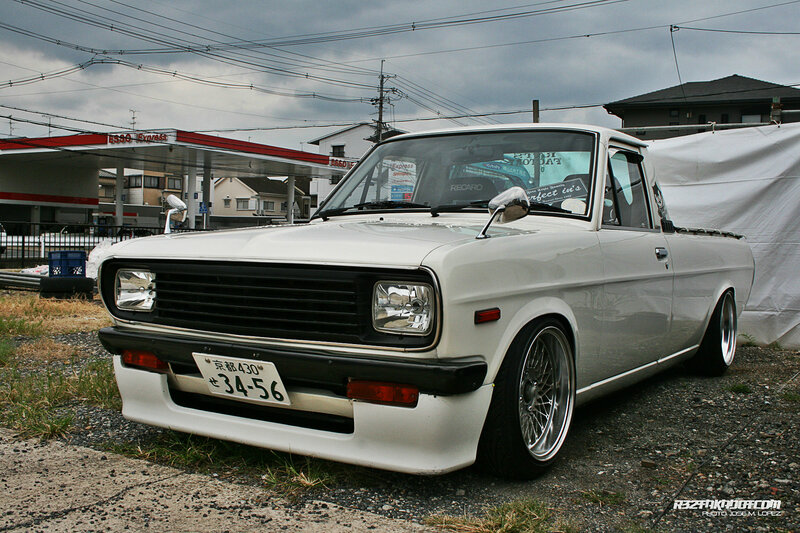 I said the las because it was the last RWD Bluebird build by Nissan. Nice to catch it. 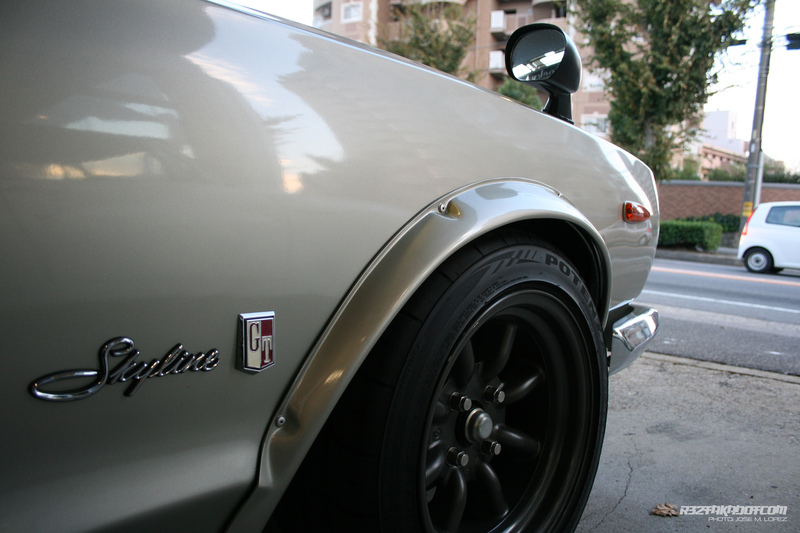 Hope you enjoy classic cars. 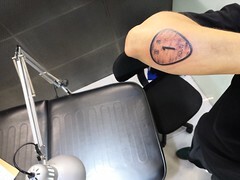 This place, r32taka.com is not like others. 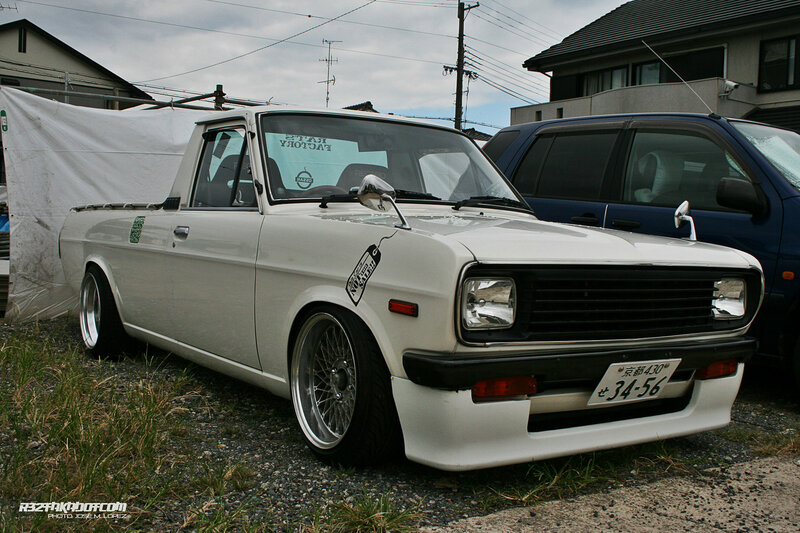 We are a real JDM lovers, and really love JDM cars. 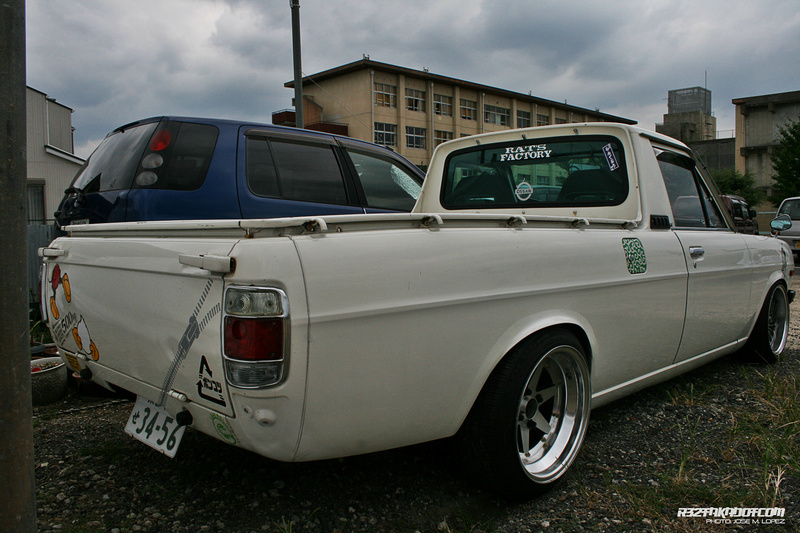 The Datsun Sunny truck is that kind of cars that you should know about if you are a really japanese lover. 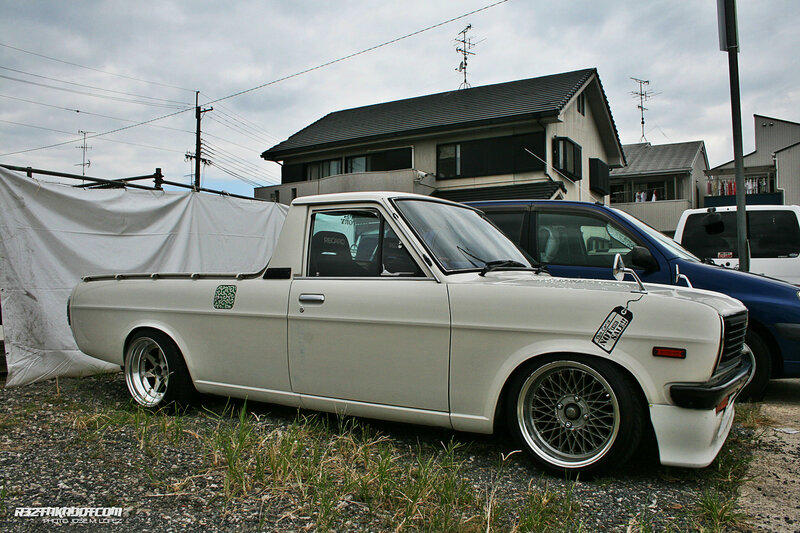 Here is a great example of how to execute a Datsun Sunny. 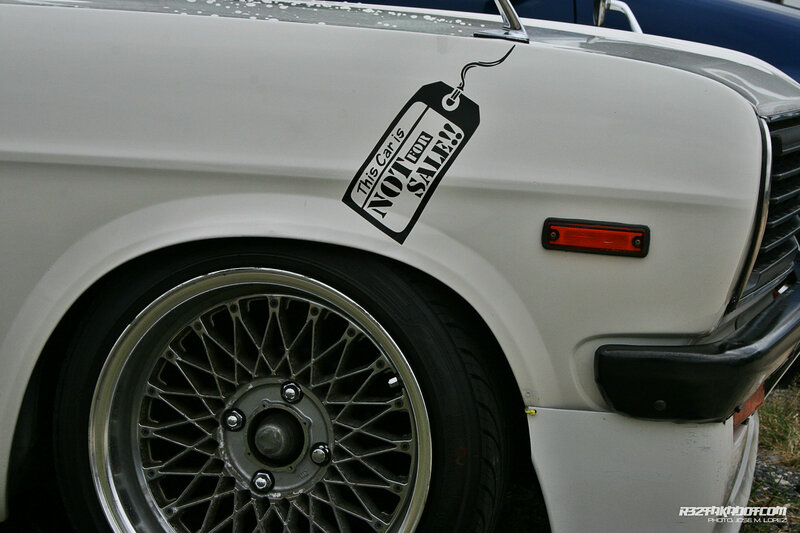 Keep it clean, keep using it every day and then you will enjoy a real car. 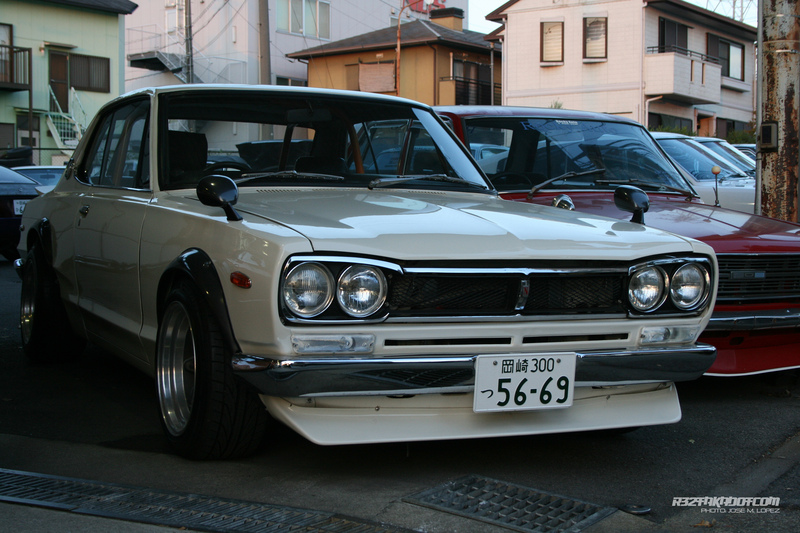 Sometimes is not everything about drift cars, super VIP CARS, sometimes you should appreciate what a car owner has done to keep a car a life a here is a great example of a great old school car to remember. 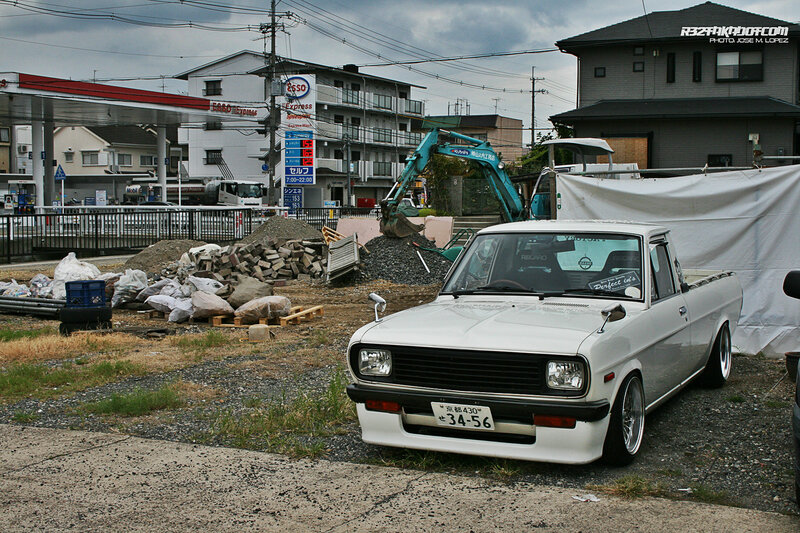 When you stay closer for some minutes in front of a car like this one, then you really notice how much the owner is proud of his creation, and I think that nothing is better than be proud of what have you built. 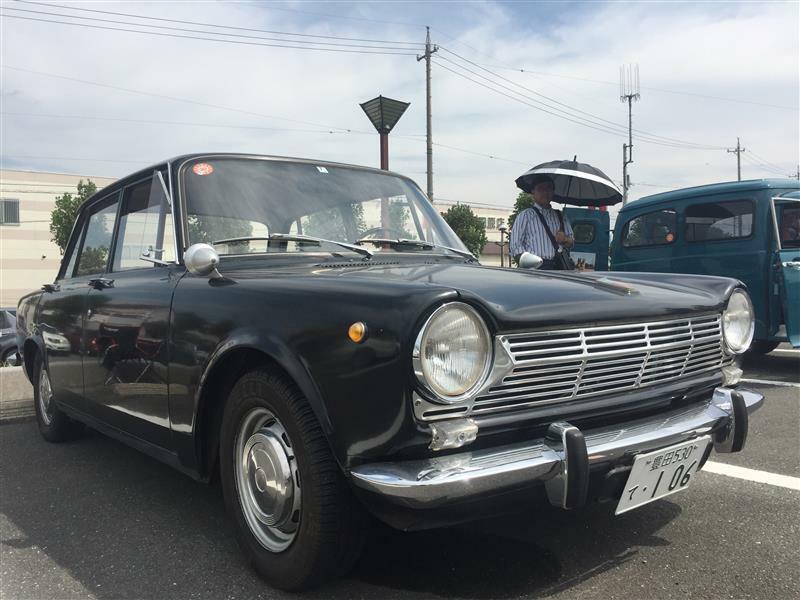 Even though Mooneyes shows tend to be revolved around hot rods and old American cars, this being Japan, there were lots of Japanese cars as well. 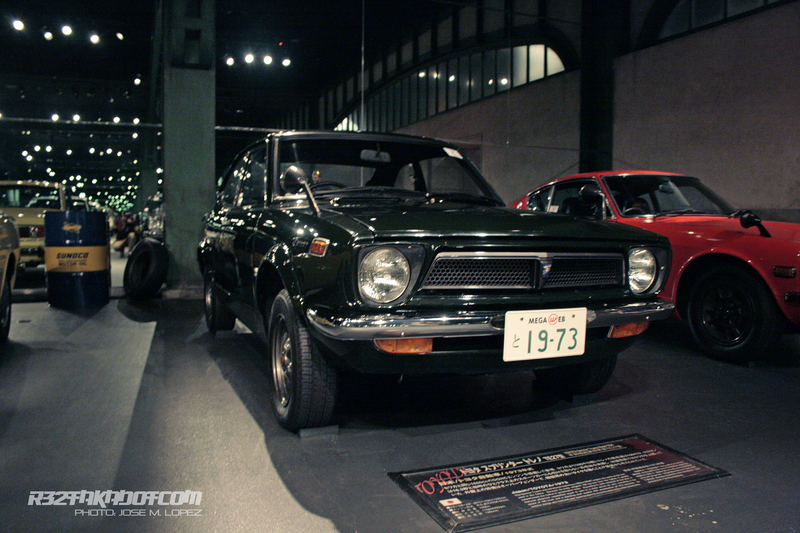 Enjoy all the JDM stuff from the show.